We are a 501(c)(3) organization – all donations are tax deductible to the full extent of the law. What we need the most is funding to continue our educational and arts programs for at risk youth in Haiti. Your gifts support our School Sponsorship Program, Outreach Program, Photography Workshops, and business and computer classes. 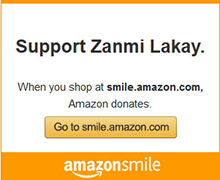 Zanmi Lakay sponsors 50 children in five cities to go to school thanks to individual sponsors and generous contributors. Fees are paid directly to the schools, and additional funds are given to families to pay for uniforms, school supplies, transportation, exams, and food. For $300.00 per year, sponsors can help a specific student and will receive photos, family information and updates. You can also contribute to the general fund for our valuable Haitian Director, our own student photographers, and extras for the families. The deadline is August 20 in order to have all students’ fees paid before school begins. There is nothing more important than education for these children, and it’s the only way these families can afford to have their kids stay in school. Donate a camera, computer, or photography equipment. If you have a working 10 mp digital camera (point and shoot or dslr) or Apple laptop computer, we would love to put them to good use. We also need card readers, thumb drives, external hard drives, reflectors, sd cards, and batteries. Donate soccer uniforms and equipment. We’ve delivered jerseys, balls, and cleats to very happy teams in Cite Soleil, Port-au-Prince, Martissant, and Jacmel. Donate new or almost new adult size t-shirts. We put them into our Care Bags, and give the blank ones to Jephte, a student that started a t-shirt business. Ti Maché means little market in Kréyol, and is the name used for our sales of Haitian art. We purchase a wide variety of art directly from artists throughout the country, and sell it at our own and other events to support artisan families so they can continue to make art and keep their own children in school, and increase awareness about the cultural beauty of Haiti. Proceeds directly benefit our youth programs. Ti Maché events have been held in our home, a studio in San Francisco, a friend’s backyard, schools, Haitian concert and dance events, and in International Craft sales including the deYoung Museum’s first Fair Trade Bazaar. We will graciously accept offers to host a Ti Maché and for volunteers at these events. We have an incredible archive of photographs taken by street children in Haiti from our 19 years of teaching Photography Workshops, and we need help producing products, ideas, and creating exhibitions to share their visual stories with the World. Help us by organizing a fundraising event, an open house, a school or community donation drive for the kids, or host a Ti Maché or photo exhibit. Come to Haiti and assist us with our Photography Workshops, business and computer classes, outreach services, and field trips. Help us out in our Pacifica office with data entry, assembling Care Packages, sorting donations, updating our database, and processing orders. We are actively seeking interested and dedicated people to join our Board of Directors and our Advisory Board. Please contact us if these opportunities appeal to you.